GTECH is buying U.S. slot-machine maker IGT for $4.7 bln in cash and stock. That’s a bold price given IGT’s competitive challenges. The buyer is talking tough on synergies. Still, this cuts GTECH’s reliance on Italy – and could also bring down its tax bills. 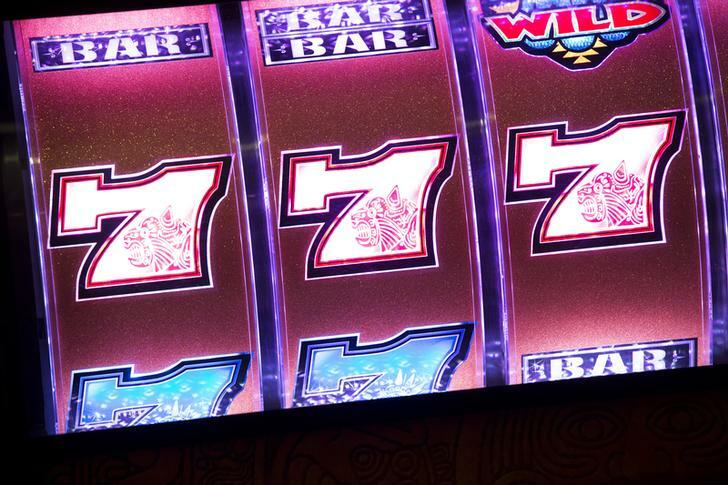 A view of a slot machine November 14, 2013. GTECH, the Italian lottery operator, agreed to buy International Game Technology, the biggest U.S. maker of slot machines, for $4.7 billion in cash and stock. GTECH will also assume about $1.75 billion of IGT debt. The buyer said it expected to achieve $280 million of annual synergies within three years. GTECH is offering $18.25 a share for IGT, with three-quarters in cash and the rest in equity. It expects IGT shareholders to own 20 percent of the combined company which will be listed on the New York Stock Exchange. Its corporate headquarters will be in the UK. In June, Reuters reported that GTECH was vying with billionaire investor Ron Perelman and private equity firms Apollo Global Management and Carlyle Group to buy IGT. GTECH later confirmed it was in preliminary discussions about a deal. Shares in GTECH rose 5.15 percent by 1127 GMT on July 16 to hit 19.39 euros a share.